Aaron Rodgers played in just 9 games for the Green Bay Packers last season, well really just 8. 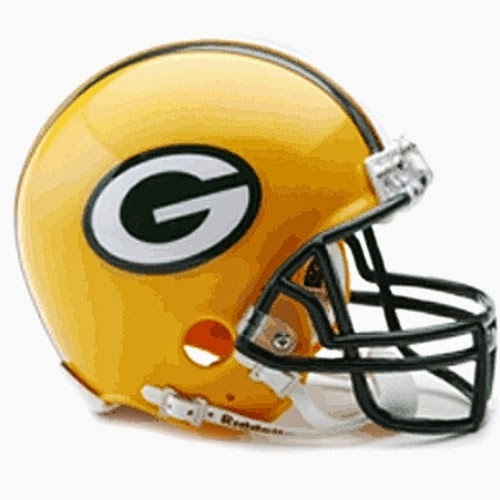 On Monday Night Football against the Chicago Bears, Rodgers attempted just 2 passes before being removed from the game. But even with Matt Flynn and Scott Tolzien under center for half the season, rookie Eddie Lacy still managed to rush for over 1100 yards, scoring 11 TDs, and Jordy Nelson managed to grab 85 receptions for over 1300 yards & 8 TDs. James Jones is now playing with the Oakland Raiders, but Randall Cobb returns after playing in just 6 games last year, missing time with a broken leg. He did return to catch 2 passes for 2 touchdowns from Rodgers in the season finale. Jarrett Boykin and rookie Davante Adams will be fighting for playing time as the teams WR3 on the depth chart. Boykin caught 49 passes last year from the mix at QB, and twice went over the century mark. Adams enters the league as a 2nd round draft pick out of Fresno St, Derek Carr's right hand man. Last season he gained 1719 yards on 131 receptions, and this is not a typo, 24 touchdowns! Deep league sleeper ladies and gentlemen! Tight End is a question mark for the Packers as Jermichael Finley is no longer on the roster. it will be up to Andrew Quarless to fill the void. Rodgers is one of the best QBs in the NFL so as long as he is healthy and on the field, he is going to be a great fantasy player. The addition of Lacy in the backfield should help keep him upright and teams will have to account for him. We ranked him 3rd in our QB rankings. Most football fans could not understand why teams were hesitant when it came to Lacy in the draft. No matter what shape he is in, he proved everyone wrong as a rookie, rushing for over 1,000 yards without Rodgers for half the season. The threat of Rodgers under center should make Lacy even more valuable in 2014. We ranked him 6th in our RB rankings. Nelson and Rodgers have been together for a while now and there is a comfort level there. He did not catch 10 passes until the final game of the season (sorry PPR guys) but he did managed one 100 yard game (sans Rodgers) with Tolzien against the Giants. Nelson is as safe a pick as there is in fantasy, and had Rodgers been healthy, would have been a much more valuable player in 2013. We ranked him 11th in our WR rankings. Cobb is the play maker in Green Bay, and will outshine Nelson more often than not. But because of where Cobb catches passes, if the defense can contain him, it will be difficult for him to rack up the yards. The ceiling is high and with an ADP so close to Nelson, I like Cobb a bit more in 2014. We ranked him 9th in our WR rankings.